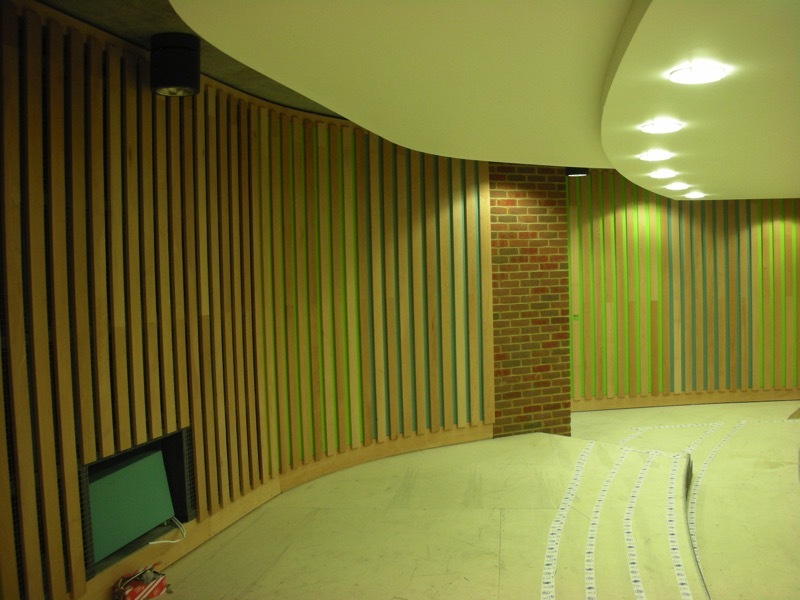 The range of elegant Whisper Walls acoustic panels can now be further enhanced by finished timber panels or fins, which will add a new dimension to the already highly flexible range of design options. 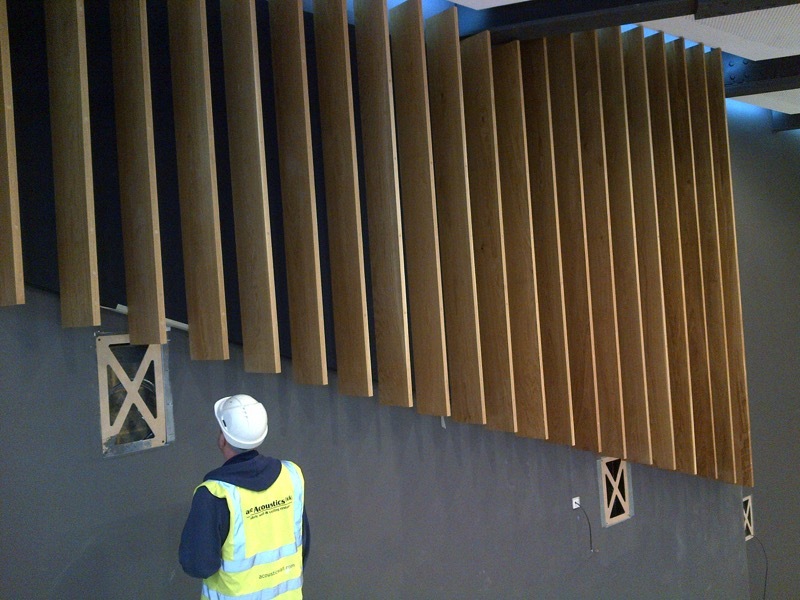 Finished timbers can be installed by specialist carpentry firms, either of your own choice, or as recommended by Ace Acoustics, who will work very closely with the selected contractor. 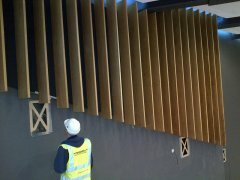 Ace Acoustics will install the timber grounds at approx. 600 – 800mm centres (or as recommended by contractor), beneath the fabric, ready for timber fin fixing points. The use of timber panels or fins gives designers flexibility in matching panel widths to precise wall or ceiling measurements. Timber fins can come in various combinations of widths and thicknesses as standard; alternatively customs sizes are available to meet with architectural drawings and specifications. The range is available in various hardwood finishes such as bamboo, oak, cedar, ash, cherry, walnut, teak, mahogany, ebony, sapele and so on. The timber fins will enrich and complement the range of fabric colour finishes, which will be visible in the space between the fins. 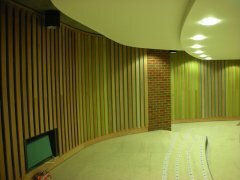 Panels are available in depths of 27mm (Sound Absorption Class ‘C’ and also available with Sound Absorption Class ‘B’) or 52mm depth (Sound Absorption Class ‘A’). As with all Ace Acoustics installations, all customers are protected by an unconditional five-year warranty.